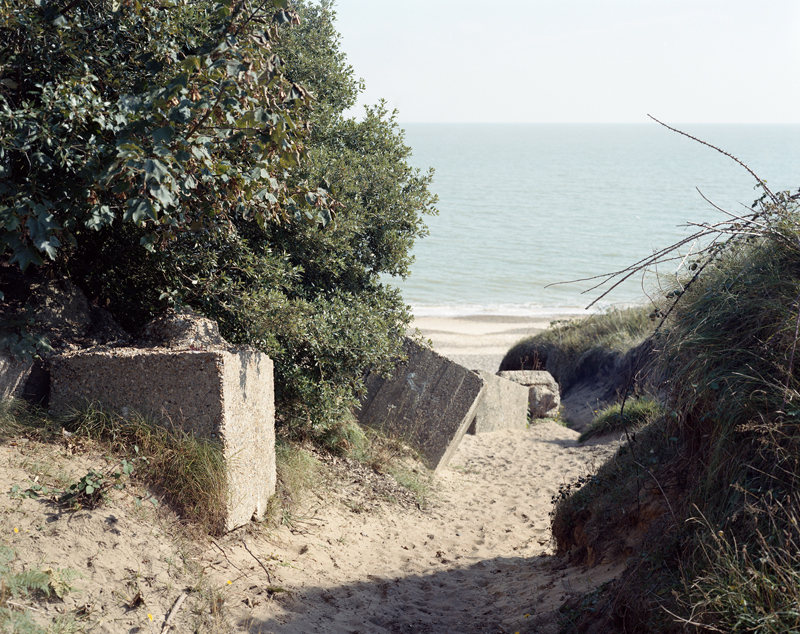 As an intuitive response to the sudden death of my mother last summer I walked down the Suffolk coast, reconsidering the landscape of my childhood through the eyes of an adult, mourner and artist. Concrete cubes sporadically emerged along the route, sole man-made interjections in a landscape of permanent flux. As I walked through fog they offered perspective, their staccato rhythm implied passing time, their angular form suggested a grid and attempted rationalisation of chaotic, uncontrollable nature. I read the cubes as monolithic stelae. Blank vessels into which I store memories, emotions and idea - vessels as fallible as both body and mind, also falling prey to the forces of nature and time.